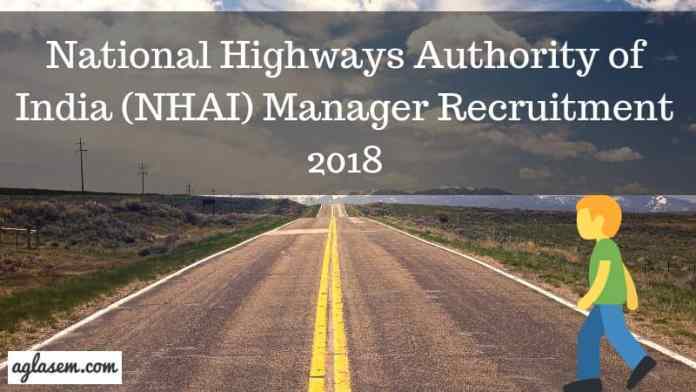 National Highways Authority of India (NHAI) has released the NHAI Manager Recruitment 2018 notification on August 31, 2018 at www.nhai.org to the posts of Deputy General Manager and Manager for officers under the Central Government or State Governments or Union Territories or Universities or Recognized Research Institutions affiliated to Government of India or other Government bodies. NHAI Application Process has been started on August 31, 2018. The last date to reach the application form is November 07, 2018. Candidate can only register themselves by posting the Application Form. From this page, the candidate will get full updates regarding NHAI Manager Recruitment 2018. Latest: Application Process has been started candidates can send the application to the below-mentioned address. Deputation method will be adopted for NHAI Recruitment 2018. If the candidate’s application is not sent to the postal address till the last date that candidate’s form will not accept by the commission. For more information regarding NHAI Manager Recruitment 2018 see the below-mentioned schedule. Candidates will be able to see the Vacancy Details For NHAI Manager Recruitment 2018 from below. Before sending the Application candidates should first go through the eligibility criteria. If the candidate, not full fill all the eligibility criteria that will not be considered for the further recruitment process. From below candidates can see the eligibility criteria for various posts. Nationality: Candidate should hold the Indian Citizenship. Age Limit: The candidate’s maximum age limit should not exceed more than 56 years as on the closing date of acceptance of applications. Candidate should hold the graduation level degree from the recognized university and institute. 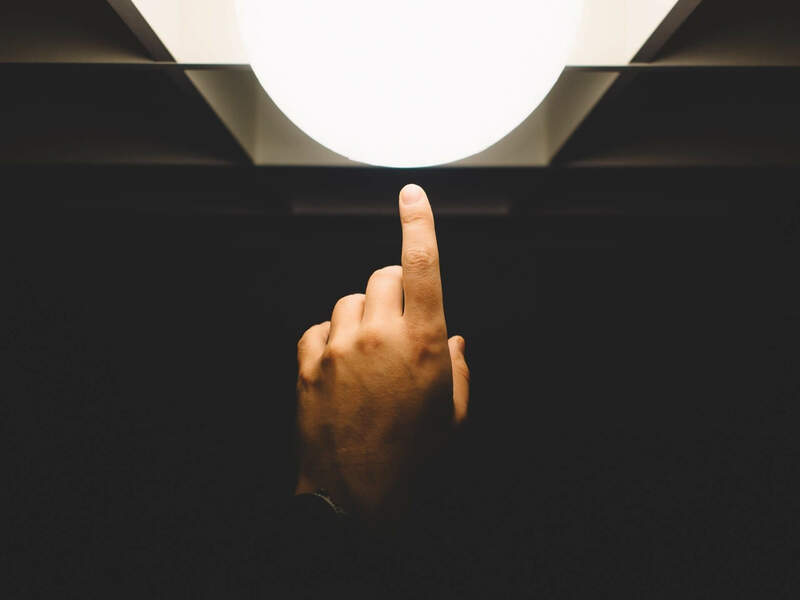 Candidate should have 09 years of experience with the pay scale of Rs.Rs.15,600-39,100/- (Pay Band-3) and with Grade Pay Rs.5400/- or equivalent or higher out of which four years’ experience in Administration/ Establishment/ Human Resource / Personnel Management. Should hold the graduation level degree from the recognized university and institute. Applicants should have four years’ experience in Administration/ Establishment/ Human Resource / Personnel Management. Deputation method will be adopted for recruiting the officers to the post of General Manager and Manager. From below candidates can see the Method of Recruitment For NHAI Recruitment 2018. Should have Experience of 7 years in regular Service to the posts with the pay scale of Rs.7500-11500 (Pre-revised). Applicants should hold the comparable posts on the regular basis with the (pay band-3) Pay Scale of Rs. 15,600-39,100 and with the Grade Pay of Rs.7600/- (in CDA Pattern) or equivalent in IDA pattern in the parent cadre/department. Applicants should hold the comparable posts on the regular basis with the (pay band-3) Pay Scale of Rs. 15,600-39,100 and with the Grade Pay of Rs.6600/- (in CDA Pattern) or equivalent in IDA pattern in the parent cadre/department. Candidate should have Experience of 04 years in the grade given after appointment thereto on a regular basis in posts with the Pay scale of Rs. 15,600-39,100/- (pay band-3) and with Grade pay of Rs. 5400/- (in CDA pattern) or equivalent in IDA pattern in the parent cadre/department. Candidate should have Experience of 04 years in the grade given after appointment thereto on a regular basis in posts with the Pay scale of Rs. 9300-34,800/- (pay band-2) and with Grade pay of Rs.4800/- (in CDA pattern) or equivalent in IDA pattern in the parent cadre/department. The result will be declared by the National Highways Authority of India. The result will contain the name of the candidate, rank and roll number etc. The result will be declared at the official website. On the basis of the ranking, candidates will be recruited. The result will be based on the eligibility of the candidates (experience, qualification). The final result will be in a form of Merit List. The primary period of deputation will be 03 years, which may be extended for 02 years with the permission of Chairman. Further expansion in the period of deputation for another period of 2 years beyond 05 years will be done with the permission of the Ministry of Road Transport & Highways, subject to adequate performance. The recruited candidates to the post of Deputy General Manager (Admn.) will get the Payscale of Rs.15,600-39,100/- (Pay Band-3) with Grade Pay of Rs.7,600/-(pre-revised) per month and the recruited candidates to the post of Manager(Admn.) will get the Payscale of Rs. 15600-39100 (Pay Band-3) with Grade Pay of Rs. 6600/-(pre-revised) per month. For more information regarding NHAI Manager Recruitment 2018 Downloads the Advertisement.